So you’ve decided to invest in a pool for your home – great! The next step is to find a reputable pool builder you can trust to complete your project to a high standard and at a reasonable price. With so many pool builders out there, it can seem an impossible task to find one that suits you. In this article we’ll provide you with helpful tips and tricks for finding the best pool builder for your project. Look online for builders with plenty of positive reviews and openly available examples of previous work. If they have a website, look for small details like if they offer general advice on their website and proof of accreditation and/or membership of industry bodies – the more information freely available on their website, the more proof you have that this is a company that is transparent and trustworthy. As for project galleries, look for evidence that they can handle a complex project. Also look for projects that are similar to your own to get an idea of what to expect. If you are planning on working with a newly established builder with few or no reviews, ask if they can provide you with a few previous clients so you can talk to them about their experience. Even if a pool builder has been referred to you by a friend or family member, always make sure you do your own research first. Are they comfortable undertaking projects with sloping, elevation or inaccessible areas? Do they accommodate custom designs? What is the protocol if something goes wrong? When you receive your quotes, don’t just go with the cheapest option. Sometimes it’s worth paying a bit more for the security of knowing that your builder is a trustworthy professional that you can rely on to complete your project to a high standard. Building a pool on your property is a major and quite expensive investment. The last thing you want is to engage a builder and find out too little too late that they are inexperienced or under qualified. 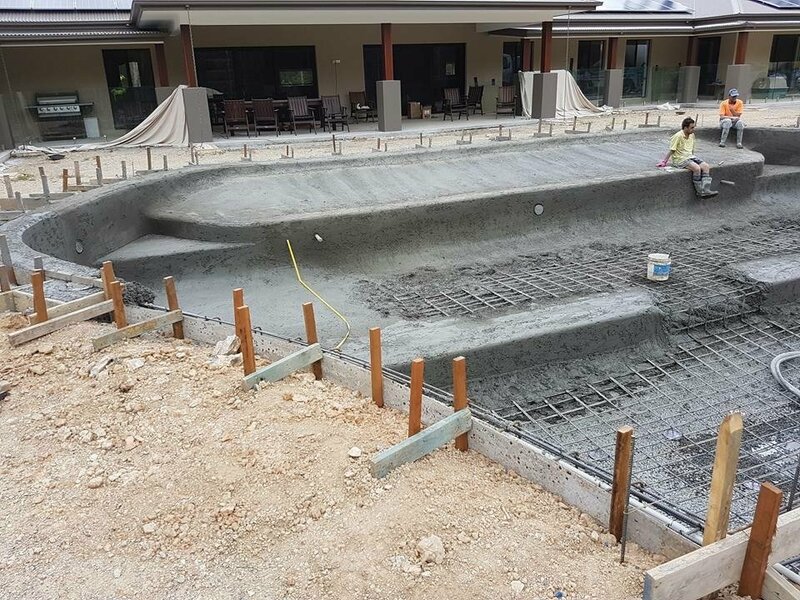 By following the tips listed above, you can ensure that your pool project goes as smoothly as possible – and if any disruptions do occur, you have hired a pool builder with the experience to handle the problem quickly and professionally. Building a pool for your Gold Coast home? Why not try out your new knowledge on our team at Cozy Pools? We guarantee we will exceed your expectations. Call 07 5631 9810 today.